Welcome to the latest edition of our weekly newsletter. This week's email recaps a one-sided match between GB&I and the United States, we take a look at a simple way to bridge the gap between your long irons and woods, whilst our video of the week focuses on Rickie Fowler's warm-up routine - how similar is yours to his? Enjoy the read. The Walker Cup is a fiercely contested match between the best amateur golfers from GB&I and the United States, consisting of foursomes and singles matches across two days. The 2017 contest took place over the weekend and the end result was a convincing win for the American team, rectifying their biggest ever loss in 2015. It’s a fantastic chance to see some of the upcoming stars of our game and is certainly a good indicator of future Ryder Cup players. For example, 2007’s match saw McIlroy, Dustin Johnson, Danny Willett and Rickie Fowler compete for their respective countries, whilst Jordan Spieth defeated Andy Sullivan in 2011’s final singles. If you go even further back you’ll find that the likes of McDowell, Casey and a certain Tiger Woods have all featured in years gone by. Yes it's that time of year where our autumn/winter collection starts to arrive in-store and this week we've had the arrival from Under Armour. We're very excited about this range from Under Armour as they've been a very popular brand throughout the year with their spring/summer range. We've got many different styles from Under Armour including the ColdGear vest top, Paclite Full-Zip and the Paclite half-zip. Make sure you come in-store and have a look at this very exciting range. Book a 2018 golfing holiday in September or October 2017 and receive FREE golf equipment, courtesy of Your Golf Travel. It really is as simple as that with absolutely no catch, so click on the link below and take a look at what we can offer you. It's that time of year where the season starts drawing to a close which mean this is your ideal chance to get yourself fitted at Canterbury GC. We have a fantastic range of hardware including the recently launched PING G400 range and the very popular Epic range from Callaway. If you would like to book a fitting then come in-store or call us on 01227 453 532. We will offer you a FREE fitting when you purchase equipment from us. How do you bridge your gap? When you hear the term ‘gapping’ you probably think about the distances between your wedges, but it also applies to the top end of your bag too. Having a club that bridges the gap between your long irons and fairway woods is essential if you want to make the game easier for yourself. Smaller gaps between your irons and woods means there will be fewer times you have to make shorter, easier or harder swings, which are more difficult to repeat when you are stuck between clubs. Good gapping is just one of the reasons we often fit players into one or two hybrids. If you pop by the store we can show you some of our favourites, like this Lynx Black Cat hybrid, which has a fixed sole weight that makes it easy to launch and forgiving if you miss the middle, a perfect combination when taking on long approach shots. Click on the image above to learn more about this hybrid. We don’t want to be the ones to say it, but we’re now in September so it’s time to start preparing yourself for the wetter months. It’d be great to see more of you on the course this winter and if you intend to play right through to next spring, a pair of waterproof shoes is a must and FootJoy has just launched a stunning new option for you to consider. 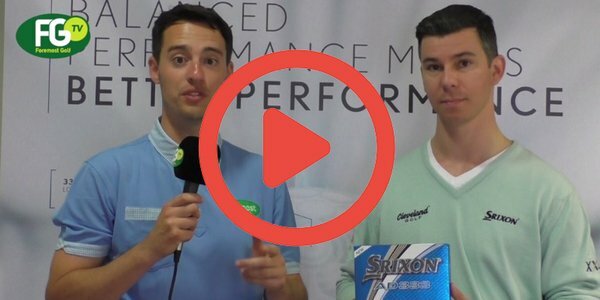 Srixon's immensely successful AD333 golf ball has dominated for the past 11 years and now they've improved it even further. 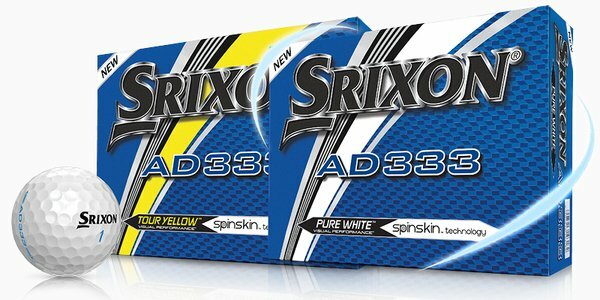 Available in both Pure White and Tour Yellow, the new AD333 will provide you with exceptional distance, improved greenside control and a soft feel. What more could you want? Watch our video below to learn more.